The firm’s civil section is divided into bankruptcy, creditors rights, collections, and business litigation. The civil section is overseen by attorneys with a minimum of 15 years experience and Mr. Richards who has been trying and managing national case dockets for over 22 years. The civil section has recorded over a 100,000,000 in judgments and in the last three years alone numerous published opinions in civil law in the Court of Appeal. The civil section enjoys premier individuals as clients, as well as major industrial companies in the Southern California area. The firm employs a vertical attack structure where the sections of the case are divided amongst motions, discovery, and investigation. Each attorney is assigned a task, so that no detail goes unnoticed. the firm breaks down the different facets of each area of weakness on the opposing side with a mind towards a financially responsible case management structure. The firm brings with it over 22 years experience in collection and asset location and knows how to handle a case from judgement to execution to collection. The firm has had tremendous results in its civil section and satisfaction is guaranteed. The firm also specializes in civil asset forfeiture. The firm handles numerous administrative hearings and homeowner association litigation. Finally, Mr. Richards handles 80% civil cases in specialized matters for business clients who want an experienced attorney with a no holds barred litigation style that achieves resolution of the problem facing the civil client. 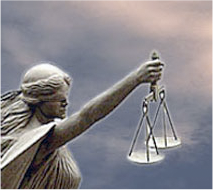 He has won large attorney fees awards and numerous civil judgments for his clients. He competently and efficiently has managed and prosecuted over $150,000,000 in secured debt transactions since 2012 and has collected 90% plus of the legal fees that were expended and has collected all of the funds assigned to the purchases of the debt. Mr. Richards is an expert in secured debt purchases and collections. His overwhelming firepower that is funded and employed by his stellar clients has managed to make the firm a leader in this field. The firm is grateful to the capital partners that have funded this litigation as without them, success would be less apparent. You can watch Ronald Richards recent argument in the 9th Circuit Court of Appeals which reversed the Bankruptcy Appellate Panel.